BourbonBlog.com interviews Woodford Reserve Master Distiller Chris Morris about the $1,000 Mint Julep for the 2011 Kentucky Deby 137 during a Pre-Derby party at Prime Lounge in Louisville, Kentucky. – Ice made of rainwater captured on the pristine island of Tasmania, Australia, where the air is scientifically proven to be the purest in the world. The air travels over Antarctica and 10,000 miles of ocean reaching the western part of Tasmania called “The Edge of the World” where it is collected without ever touching the ground. – Rare Chocolate mint grown in San Diego, California. This unique mint adds a tantalizing touch of spring freshness to the classic Mint Julep. – Bourbon Smoked Sugar from Bourbon Barrel Foods in Louisville, KY represents the union of flavors that result when Woodford Reserve barrels are combined with raw Demerara sugar. The bourbon-soaked barrel staves are utilized during the smoking process to impart a sweet, caramel flavor and the essence of smoked oak. 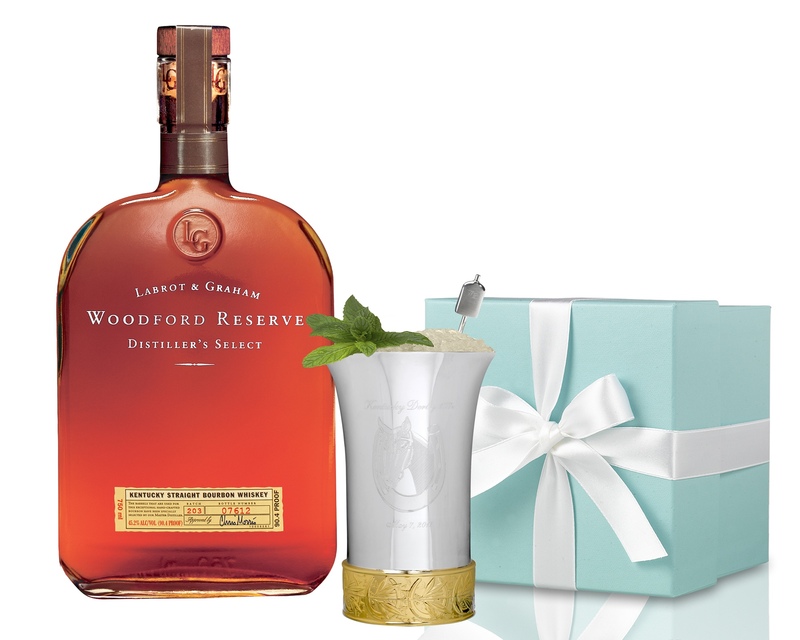 – A small batch of the Master Distiller’s personal selection of Woodford Reserve super-premium bourbon, selected specifically for the $1,000 Mint Julep by Master Distiller Chris Morris. A collection of 103 sterling silver mint julep cups designed by Tiffany & Co. exclusively for Woodford Reserve. Proceeds from the cup sales will benefit The Heart of a Horse Foundation.